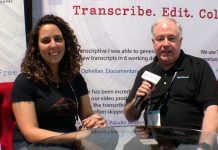 At NAB in Las Vegas, we caught up with Jim Tierney in the Digital Anarchy suite to talk about the evolution of Transcriptive from “just” an AI-based transcription option into a metadata generator that aids the editor as well as the end user. In response to user feedback, they have added new metadata options as well as collaboration capabilities that makes it even more useful. 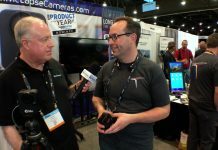 Jim talks about their support of Adobe Premier and their plans for Final Cut.